Gran parte de los capitula del Liber monstrorum son de tema mitológico; sin embargo, su fuente principal no es Ovidio, sino otra fuente, gramatical o poética (especialmente Virgilio y sus comentaristas). Ovidio no es fuente del Liber monstrorum por no era conocido en los centros monásticos insulares donde fue compuesto el bestiario. R. EHWALD, 1919, Aldhelmi opera. Monumenta Germaniae Historica, XV, Berolini. F. GASTI, 2010, Isidorus Hispalensis Etymologiae XI, Paris. H. HAGEN, 1897, Codex Bernensis 363, Lugduni Batavorum. M.W. HERREN, 2011, The Cosmography of Aethicus Ister. Edition, translation, and commentary, Turnhout. A.M. JUSTER, 2015, Saint Aldhelm’s Riddles, Toronto – Buffalo – London. M. LAPIDGE, 2009, «The Enigmata», en M. Lapidge & J.L. Rosier, Aldhelm. The Poetics Works, 1a reimpresión, Cambridge, pp. 59-94, 247-255 (notas). F. PORSIA, 2012, Liber monstrorum (secolo IX). Introduzione, edizione critica, traduzione, note e commento, Napoli. O. SZERWINIACK, 1992-1993, «Un commentaire hiberno-latin des deux premiers libres d’Orose, Histoires contre les païens», ALMA 51, 5-137. O. SZERWINIACK, 2007, «Un commentaire hiberno-latin des deux premiers libres d’Orose, Histoires contre les païens (suite)», ALMA 65, 165-207. A. ZUCKER, 2005, Physiologos. Le bestiaire des bestiaires, Grenoble. R. BEEKES, 2010, Etymological Dictionary of Greek, Leiden – Boston. C. BOLOGNA, 1974, «La tradizione manoscritta del Liber monstrorum de diuersis generibus (appunti per l’edizione critica)», Cultura Neolatina 34, 337-346. A. CAMERON, 2004, Greek Mythography in the Roman World, Oxford. P. CHANTRAINE, 1968-1980, Dictionnaire étymologique de la langue grecque: histoire des mots, Paris. J.G. CLARK, F.T. COULSON & K.L. MCKINLEY (eds,), 2011, Ovid in the Middle Ages, Cambridge. F. COULSON & B. ROY, 2000, Incipitarium Ovidianum. A finding guide for the texts related to the study of Ovid in the Middle Ages and Renaissance, Turnhout. D. DAINTREE, 1999, «Virgil and Virgil scholia in early medieval Ireland», Romanobarbarica 16, 347-361. M.C. DÍAZ Y DÍAZ, 20092, «Introducción general», en San Isidoro de Sevilla. Etimologías, Madrid, pp. 7-257. I. FIELDING, 2014, «A Poet between two Worlds: Ovid in Late Antiquity», en J.F. Miller & C.E. Newlands (eds. ), A Handbook of the Reception of Ovid, Malden (MA) – Oxford, pp. 100-113. G. FUNAIOLI, 1930, Esegesi virgiliana antica, Milano. R. GUARINO ORTEGA, 2006, «Argo Panoptes: entre lo humano y lo divino», en E. Calderón, A. Morales & M. Valverde (eds. ), KOINÒS LÓGOS. Homenaje al profesor José García López, Murcia, pp. 397-404. G. HAYS, 2010, «‘Important if true’: Lucan’s Orpheus and Aethicus Ister», Notes and Queries 57.2, 196-199. M.W. HERREN, 1998, «The transmission and reception of Graeco-Roman mythology in Anglo-Saxon England, A.D. 670-800», Anglo-Saxon England 27, 87-103. M.W. HERREN, 1999, «Literary and glossarial evidence for the study of classical mythology in Ireland A.D. 600-800», en H. Conrad-O’Briain, A.-M. D'Arcy & J. Scattergood (eds. ), Text and gloss: studies in insular language and literature presented to Joseph Donovan Pheifer, Dublin, 49-67. R. HEXTER, 1987, «Medieval articulations of Ovid’s Metamorphoses: from Lactantian segmentation to Arnulfian allegory», Mediaevalia 13, 63-82. A.S. HOLLIS, 1996, «Traces of Ancient Commentaries on Ovid’s Metamorphoses», en Papers of the Leeds International Latin Seminar IX, pp. 159-174. L. HOLTZ, 1991, «La transmission des classiques latins: de l’Antiquité tardive à l’époque carolingienne», en O. Pecere (ed. ), Itinerari dei testi antichi, Roma, pp. 85-104. Á. IBÁÑEZ CHACÓN, 2006, «Argo Panoptes: sobre la monstruosidad de los guardianes», Paideia 61, 255-274. Á. IBÁÑEZ CHACÓN, 2015, «Adulter taurus/notarius: a propósito del Schol Stat. Ach, 192 y la exégesis palefatea del Minotauro», Flor. Il. 26, 23-43. 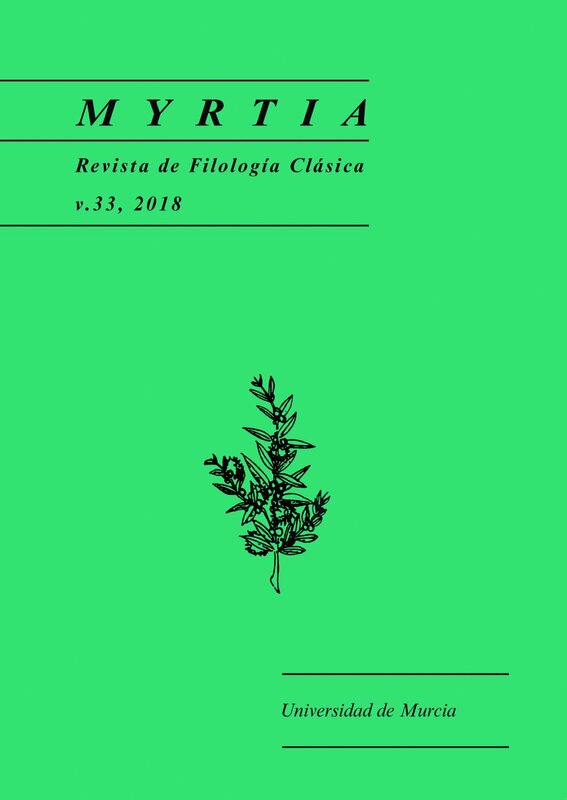 Á. IBÁÑEZ CHACÓN, 2017, «La mitología clásica en el Liber monstrorum», en M. Alganza Roldán & P. Papadopoulou (eds. ), La mitología griega en la tradición literaria: de la Antigüedad a la Grecia contemporánea, Granada, pp. 123-143. M.-O. JENTEL, 1994, «Skylla I», LIMC VII, pp. 1137-1145. M. LAPIDGE, 1982, «Beowulf, Aldhelm, the Liber monstrorum and Wessex», Studi Medievali 23, 151-192. M. LAPIDGE, 2005, The Anglo-Saxon Library, Oxford. M. LAPIDGE, 2015, «Aldhelm», en M. Lapidge et alii (eds. ), The Wiley Blackwell Encyclopedia of Anglo-Saxon England, 2a ed. Malden (MA) – Oxford, pp. 27-29. F. MCCULLOCH, 1962, Mediaeval Latin and French Bestiaries, Chapel Hill. B. MCFADDEN, 2005, «Authority and Discourse in the Liber Monstrorum», Neophilologus 89, 473-493. R.T. MEYER, 1952, «The Middle Irish Odyssey: Folktale, Fiction, or Saga?», Modern Philology 50, 73-78. A. MICHALOPOULOS, 1996, «Some Etymologies of Proper Names in Catullus», PLLS 9, 75–81. A. MICHALOPOULOS, 2001, Ancient Etymologies in Ovid’s Metamorphoses: A Commented Lexicon, Leeds. B. MILES, 2006, «Irish Evidence for Shared Sources of Classical Mythology in Anglo-Saxon England and Medieval Ireland», en G. R. Wieland, C. Ruff & R. G. Arthur (eds. ), Insignis Sophiae Arcator. Essays in Honour of Michael W.Herren on his 65th Birthday, Turnhout, pp. 124-148. F. MUNARI, 1957, Catalogue of the mss. of Ovid’s Metamorphoses, BICS Suppl. 4, London. B. MUNK OLSEN, 1979, «Les classiques latins dans les florilèges médiévaux antérieurs au XIIIe siècle (I)», RHT 9, 47-121. B. MUNK OLSEN, 1980, «Les classiques latins dans les florilèges médiévaux antérieurs au XIIIe siècle (II)», RHT 10, 115-164. B. MUNK OLSEN, 1985, L’Étude des auteurs classiques latins aux XIe et XIIe siècles, vol. II, Paris. P. MURGATROYD, 2007, Mythical Monsters in Classical Literature, London. F. MURRU, 1980, «Aenigmata Symphosii ou Aenigmata symposii?», Eos 68, 155-158. J.D.A. OGILVY, 1967, Books known to the English, 597-1066, Cambridge Mass. A. ORCHARD, 1994, The Poetic Art of Aldhelm, Cambridge. A. ORCHARD, 1997, «The Sources and Meaning of the Liber monstrorum», en AA.VV., I monstra nell’Inferno dantesco: tradizione e simbologie. Atti del XXXIII Convegno storico internazionale, Todi, 13-16 ottubre 1996, Spoleto, pp. 73-105. A. ORCHARD, 2003, Pride and Prodigies. Studies in the Monsters of the Beowulf-Manuscript, 2a ed., Toronto. B. OTIS, 1936, «The argumenta of the so-called Lactantius», HSCPh 47, 131-163. R.M. POLLARD, 2006, «Lucan and Aethicus Ister», Notes and Queries 53.1, 7-10. R.M. POLLARD, 2010, «Denuo on Lucan, the Orpheus, and Aethicus Ister», Journal of Medieval Latin 20, 58-69. M. RESSEL, 2000, «La metamoforsi del mito di Scilla», Myrtia 15, 5-26. A. RUIZ DE ELVIRA, 1975, Mitología clásica, Madrid. F. SBORDONE, 1936, Ricerche sulle fonti e sulla composizione del Physiologus greco, Napoli. G. SENIS, 1990, «Le Narrationes Ouidianae e il cod. Neap. IV F 3», Maia 42, 167-178. I. SFORZA, 2013, «Argo Panoptes ‘nato dalla terra’», en D. Gavrilovich, C. Occhipinti, D. Orecchia & P. Parenti (eds. ), Miti antichi e moderni. Studi in onore di Edo Bellingeri, Roma, pp. 13-21. W.B. STANFORD, 1976, «Monsters and Odyssean echoes in the early Hiberno-latin and Irish hyms», en J. J. O’Meara & B. Naumann (eds. ), Latin script and letters A.D. 400-900. Festschrift presented to Ludewig Bieler on the occasion of his 70th birthday, Leiden, pp. 113-117. O. SZERWINIACK, 2003, «L’Irlande médiévale et la culture antique», en P. Lardet (ed. ), La tradition vive. Mélanges d’histoire des textes en l'honneur de Louis Holtz, Paris-Turnhout, pp. 87-105. R.J. TARRANT, 1983, «Ovid», en L.D. Reynolds (ed. ), Texts and Transmission. A Survey of the Latin Classics, Oxford, pp. 257-284. R.J. TARRANT, 1995, «The Narrationes of ‘Lactantius’ and the Transmission of Ovid’s Metamorphoses», en O. Pecere & M. D. Reeve (eds. ), Formative stages of classical traditions: Latin texts from Antiquity to the Renaissance, Spoleto, pp. 83-115. S. VIARRE, 1966, La survie d’Ovide dans la littérature scientifique des XIIe et XIIIe siècles, Poitiers. J. VOISENET, 1994, Bestiaire chrétien. L’imagerie animale des auteurs du Haut Moyen Âge (Ve - XI e s.), Toulouse. L.G. WHITBREAD, 1974, «The Liber monstrorum and Beowulf», Mediaeval Studies 36, 434-471. J.E.G. ZETZEL, 1984, Latin textual criticism in Antiquity, reimpr., Salem (NH). J.M. ZIOLKOWSKI, 1998, «Mnemotechnics and the Reception of the Aeneid in Late Antiquity and the Middle Ages», en P. Knox & C. Foss (eds. ), Style and Tradition. Studies in Honor of Wendell Clausen, Stuttgart - Leipzig, pp. 158-173.